“Internet +” mode has completely subverted every traditional industry, bringing “Internet+ Education” to the spotlight. 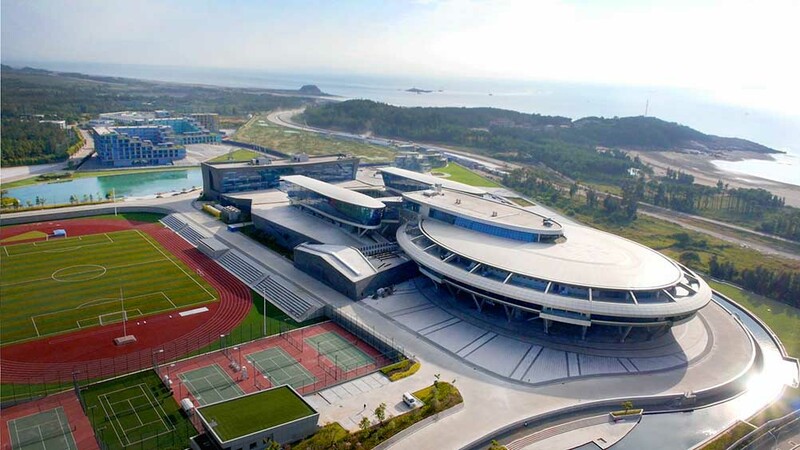 From July 12 to 13, the fourth National Education Bureau Director Summit, hosted by China Teacher and undertaken by Elernity Education Technology Company Limited, was grand held in the NetDragon Haixi Animation and Innovation Park in Changle, Fujian. The summit is themed “Start from Zero and Born of one-the Comprehensive Reform of Regional Education in the ‘Internet+’ Times”, inviting nearly 500 well-known domestic and overseas educational experts and education bureau directors of provinces and cities nationwide to discuss the development dilemma and prospect of online education. This summit continues to focus on the regional education reform; in addition, it emphasizes the application value and promotion effect of “Internet+” idea in curriculum reform. Around the theme, Zhiming Li, the Development Center Director of Ministry of Education, made a speech titled “Development of Information Technology and Education Reform”, interpreting the current situation of Chinese education informationization in details. At the summit, China Teacher, Representatives of national education bureau directors and Elernity jointly issued “Fuzhou Consensus” to promote the reforms of regional education. At present, the domestic education informationization has been developing for over 10 years; however, the development of online education market is various in terms of quality. Many enterprises focus on building education platforms, but ignore the content innovation and integrity, which may cause a high repetition rate of courseware and examination questions for the teachers who use their products. On the other hand, a proportion of the education products only make superficial pioneer experiments with cool technology instead of making corresponding solutions to improve teaching efficiency and quality, which has seriously separated from education practice. For such current market situation, Elernity thinks the essential of “Internet+” education is content-based, which should effectively solve the problems in traditional teaching by utilizing the advantages of internet resources. Since 2010, Elernity has been overall planning education ecosystem, creating high-quality contents in every education stage to adaptive to teaching environment. Nowadays, by utilizing the advantages of technical resources like mobile internet, game field and big data etc., Elernity has realized the complete product layout in the whole education ecological chain such as pre-primary education, K12 traditional education, non-academic and vocational education and corporate training, etc.. Besides, Elernity also built an education social network platform for teachers, students and parents to fast access to resources through the actively pushed data. The teachers can get to know the students’ learning progress and effect at any time through this platform in order to manage students conveniently and make specific teaching; meanwhile, this system is a service platform specialized in education with specific topics, which makes the interactivity between teacher and teacher, teacher and parents, teacher and student more intensive and convenient. Dr Simon Leung, Vice Chairman of NetDragon and CEO of Elernity Education Technology Company Limited commented, as an important participant in current domestic online education field, we are willing to discuss the reform of Chinese education and teaching with educators all over the country together, hoping to change the current situation of teachers’ burden overweight with Elernity’s advantages in technology and facilitate Chinese education towards a better future.